how genes are turned on or off. Every day trillions of blood cells are being formed in our body: from the oxygen-carrying red blood cells to the many types of white blood cells that fight pathogens and infection. All of these highly specialized cells originate from hematopoietic (blood) stem cells -- unique cells that have the potential to mature into all blood types. How exactly is the fate of these stem cells regulated? Preliminary findings from research conducted by scientists from the Weizmann Institute and the Hebrew University are starting to reshape the conventional understanding of the way stem cell fate decisions are controlled, thanks to a new technique for epigenetic analysis they have developed. 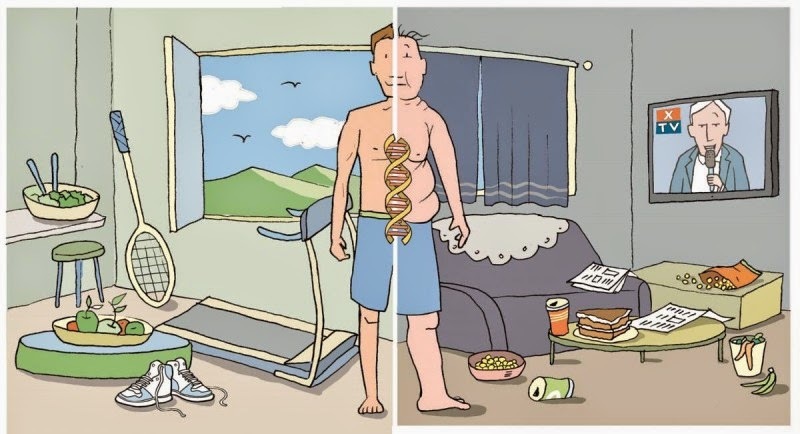 Understanding epigenetic mechanisms (environmental influences other than genetics) of cell fate can lead to the deciphering of the molecular mechanisms of many diseases, including immunological disorders, anemia, leukemia, and many more. It also lends strong support to findings that environmental factors and lifestyle play a prominent role in shaping our destiny. The process of differentiation -- in which a stem cell becomes a specialized mature blood cell -- is controlled by a cascade of events in which specific genes are turned "on" and "off" in a highly regulated and accurate order. The instructions for this process are contained within the DNA itself in short regulatory sequences. These regulatory regions are normally in a "closed" state -- masked by special proteins called histones -- to ensure against unwarranted activation. To access and "activate" the instructions, this DNA mask needs to be "opened" by epigenetic modifications to the histones, so the code can be read by the necessary machinery. Now, a new paper published in Science by Dr. Ido Amit and David Lara-Astiaso of the Weizmann Institute's Immunology Department, together with Prof. Nir Friedman and Assaf Weiner of the Hebrew University of Jerusalem, charted for the first time histone dynamics during blood development. "The events regulating stem cell fate have remained elusive, in large part, due to technical limitations of measuring open or closed states during development." said Amit. Current techniques require sampling of millions of cells to be able to detect and analyze the cell's epigenetic state accurately; the number of blood stem cells is nowhere near this amount. Coupled with the fact that each stage of development is a fleeting event, these regulatory regions are very difficult to observe. Now with the new epigenetic profiling technique the scientists developed, just a handful of cells -- as few as 500 -- can be sampled and analyzed accurately. "Using this powerful approach, we were able to identify the exact DNA regulatory sequences, as well as the various regulatory proteins that are involved in controlling stem cell fate -- casting light on previously unseen parts of the basic program of life." said Friedman. Their research has also yielded unexpected results: As many as 50% of these regulatory sequences are established and opened during intermediate stages of cell development. This means that epigenetics is active at stages in which it had been thought that cell destiny was already set. "This changes our whole understanding of the process of blood stem cell fate decisions. suggesting that the process is more dynamic and flexible than previously thought, giving the cell slightly more leeway at the later stages in deciding what type of cell to turn into, in case its circumstances change." said Lara-Astiaso. Although this research was conducted on mouse blood stem cells, the scientists believe that the mechanism may hold true for other types of cells. "This research creates a lot of excitement in the field, as it sets the groundwork to study these regulatory elements in humans." said Weiner. 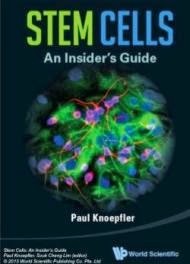 Discovering the exact regulatory DNA sequence controlling stem cell fate, as well as understanding its mechanism, hold promise for the future development of diagnostic tools, personalized medicine, potential therapeutic and nutritional interventions, and perhaps even regenerative medicine, in which committed cells could be reprogrammed and restored back to their full stem cell potential.